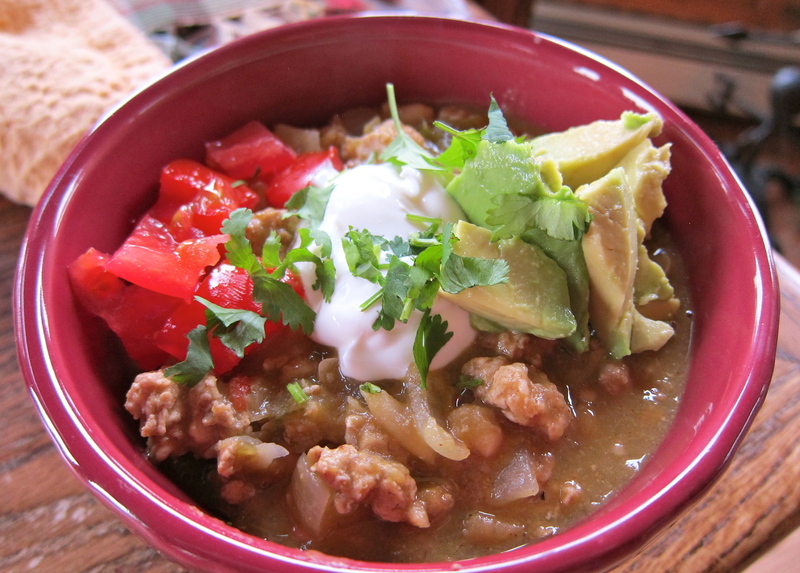 Spicy is a bit of an understatement for this chili…but it will warm you to the core on a chilly day! We actually like a lot of heat in our chili so we used the whole Serrano, seeds and all…if you like your chili milder substitute jalapenos and be sure to remove the seeds. This is really tasty with corn bread or white tortilla chips on the side! Drain and rinse the canned beans. In a medium bowl, mash half of the beans with a potato masher until chunky. Set aside until needed. Add the oil (or butter) to a large Dutch oven and heat it over medium-high heat. Add the peppers, onions, and garlic and saute until soft and fragrant, about 5 minutes. Crumble in the ground chicken. Add the cumin, coriander, and chili powder and continue to brown until the chicken is no longer pink. 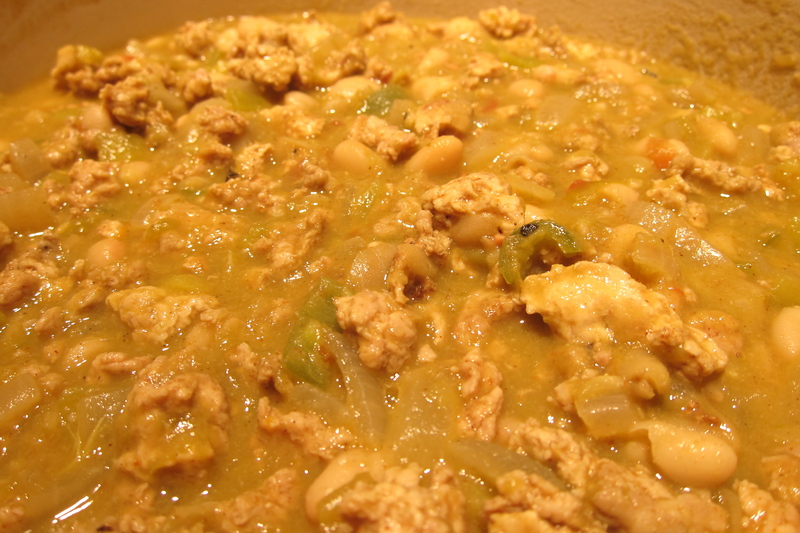 Stir in the chicken broth, green chili salsa, green chiles and lime juice and bring to a simmer. Add the beans and continue to simmer for 20 more minutes. Season with the white pepper and sea salt to taste. After simmering, taste for seasoning, and adjust if necessary. Serve the chili in individual bowls topped with a dollop of sour cream, cubed avocado, diced tomatoes and chopped fresh cilantro. Here is the chili still in the pot without all the good stuff on top!